Before trying any pool, make sure you know the rules and regulations for varieties of Brisbane Swimming Pool (City) as they may not be exactly the same as inside your property town. We advise you make contact with the pool directly to ask in the event you will need a hat, and what sort of footwear or specific clothing you will need. We almost certainly do not know all the Pools in Brisbane. Are you missing any? Contact us!. 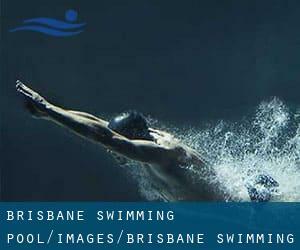 The best varieties of Brisbane Swimming Pool (City) are located primarily in huge cities, but it's also easy to locate public pools in rural areas. Going to a Brisbane Pool is increasing particularly within the elderly population sectors of Brisbane, who have suffered some kind of muscle or bone damage. Please have a look at the pools swimmers like you might have reported near Brisbane. Please, report any Brisbane Pool not listed here. Are you a common swimmer? Have you ever practiced Aquagym in Brisbane? Let us know!. There are several reasons why you should choose a heated swimming pool in Brisbane. Probably the most critical a single relies on the importance of keeping the body temperature stable. When the water is too cold, your body will try to warm it up and you will lose strength to swim appropriately. One in the benefits of outdoor swimming in Brisbane may be the possibility to sunbathe throughout the summer time season. Taking it with extra care, sunbathing is healthful given that introduces Vitamin D into the body, so the best alternative seems to be switching in between indoor and outdoor pools based on the season. There are numerous alternative treatments to chlorination, with amazing advantages that guarantee much better water high quality in the pool. A single possibility may be the mineralizer, which purifies water naturally and substantially decreases the chemical substances used and maintenance time. 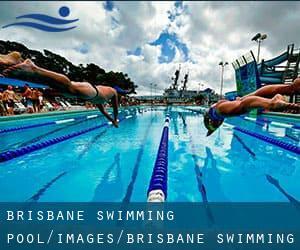 Try Chlorine Totally free pools in Brisbane. If you're tired of possessing eyes and irritated skin, acquiring a saltwater pool in Brisbane may be the answer. You should understand that the level of salt from these pools is well beneath the level of salt from sea water, specifically they're talking about a tenth or less. Enjoy the best indoor pools in Brisbane and don't worry about the weather. These facilities are open all seasons and you can enjoy a swim at the same temperature every day of the year. Updated on 2019 461-473 Lutwyche Rd , Lutwyche , Brisbane Metropolitan Area , QLD , AUSTRALIA (Postal Code: 4030). Among all of the activities offered by the centre, for anybody who is interested in swimming you'll take pleasure in 20 meters, Indoors. Just in case you need to get in touch with this Swimming Pool just before dropping by, we only know the phone number. 4 Stephens Road , South Brisbane , Brisbane Metropolitan Area , QLD , AUSTRALIA (Postal Code: 4101). Swimmers like you reported Olympic size x 25 meters, 8 lanes. 1.8 meters depth, 8 lanes. 1.8 meters depth, 8 lanes. 1.8 meters depth, Outdoors. Phone number and email address are number for this Pool. Level 1 , 44 Musk Avenue , Kelvin Grove , Brisbane Metropolitan Area , QLD , AUSTRALIA (Postal Code: 4012). This sports centre provides 25 meters, 8 lanes, Indoors. Contact information for this Swimming Pool for instance phone number and email address are number. 2 Zahel Street , Carina , Brisbane Metropolitan Area , QLD , AUSTRALIA (Postal Code: 4152). This great and large sports centre lets professional swimmers like you enjoy Olympic size, 8 lanes, Outdoors. Additionally, within these facilities you can try 25 meters, 8 lanes, Indoors. Phone number and email address are number for this Swimming Pool. Updated on 2019 Ormiston College , 97 Dundas Street West , Ormiston , Brisbane Metropolitan Area , QLD , AUSTRALIA (Postal Code: 4160). Among all of the activities offered by the centre, in case you are keen on swimming you will enjoy 25 meters, 10 lanes, Outdoors. Griffith University , Mesines Ridge Road , Mt. Gravatt , Brisbane Metropolitan Area , QLD , AUSTRALIA (Postal Code: 4122). This sports centre delivers 25 meters, 8 lanes, Outdoors. For this Pool, only phone number is number here. Updated on 2019 At the corner of Wecker and Newnham Roads , Mansfield , Brisbane Metropolitan Area , QLD , AUSTRALIA (Postal Code: 4122). Among all the activities supplied by the centre, in case you are considering swimming you'll enjoy 25 meters, Salt Water, Outdoors. Just in case you want to contact this Pool prior to dropping by, we only know the phone number. 231 Flinders Parade , Sandgate , Brisbane Metropolitan Area , QLD , AUSTRALIA (Postal Code: 4000). Among all the activities offered by the centre, if you are interested in swimming you will appreciate Olympic size, 8 lanes, Outdoors. Just in case you need to make contact with this Pool before dropping by, we only know the phone number. 135 Pring Street , Hendra , Brisbane Metropolitan Area , QLD , AUSTRALIA (Postal Code: 4011). Swimmers like you reported 25 meters, 6 lanes, 1.2 meters - 1.5 meters depth, 1.2 meters - 1.5 meters depth, Outdoors. Phone number and e-mail address are number for this Swimming Pool. Corner of Union Road and Blair Drive , St. Lucia , Brisbane Metropolitan Area , QLD , AUSTRALIA (Postal Code: 4067). This sports centre provides Olympic size, 9 lanes, Outdoors. Contact info for this Swimming Pool such as phone number and email address are number. 1 Fairlead Crescent , Manly , Brisbane Metropolitan Area , QLD , AUSTRALIA (Postal Code: 4179). Among all of the activities offered by the centre, if you are thinking about swimming you will take pleasure in 25 meters, Outdoors. Just in case you wish to contact this Swimming Pool before dropping by, we only know the phone number. Ferny Way , Ferny Hills , Brisbane Metropolitan Area , QLD , AUSTRALIA (Postal Code: 4055). Among all the activities offered by the centre, if you are interested in swimming you will appreciate Olympic size, Outdoors. Just in case you need to make contact with this Swimming Pool prior to dropping by, we only know the phone number. Updated on 2019 At the corner of Anthony and Massey Streets , Ascot , Brisbane Metropolitan Area , QLD , AUSTRALIA (Postal Code: 4007). Among all the activities offered by the centre, if you're thinking about swimming you may take pleasure in 25 meters, 6 lanes, Outdoors. Updated on 2019 7 High Street at the corner of High St. & Forest Lake Boulevard , Forest Lake , Brisbane Metropolitan Area , QLD , AUSTRALIA (Postal Code: 4078). Among all the activities offered by the centre, if you are considering swimming you'll appreciate 25 meters, 6 lanes, Indoors. Just in case you want to contact this Pool before dropping by, we only know the phone number.